Background: Our client was a Speech Therapist who wanted to work in the U.S. and live here with her husband. She was offered a position with a private school that provides mental health services for children and adolescents with physical, developmental or behavioral difficulties. The position required our client to assess student needs within the classroom and develop strategies to facilitate the social-emotional development of the children. On April 1, the client applied for an H-1B visa with the help of outside counsel, but she was not selected for the lottery. So, she came to our law firm in search of another visa option. Solution: As a Canadian citizen with a Master’s degree in Speech Pathology, she appeared to qualify for a TN. A TN usually requires a job offer for a professional position and at least a bachelor’s degree related to that position. However, only certain occupations qualify for TN status and Speech Therapy was not on the list of TN professions. We started by reviewing the job duties she would perform. They included (1) identifying children in classroom who have behavioral, social, and/or learning disorders secondary to speech related disorders, (2) helping children overcome their speech-related problems, and (3) assisting the school in developing and improving their curriculum for students with special needs. While these job duties were specific to the role she would perform as a Speech Therapist, we also identified them as duties that a Social Worker would perform, which is an occupation approved for TN status. So, we submitted a TN visa application for her based on the role of a Social Worker. Conclusion: Ultimately, our client was approved for a TN visa as a Social Worker. While a job title may be relevant to the job being performed, the title may not always conform to the occupations outlined by USCIS or CBP. A client’s job duties are the most important factors to consider when identifying visa options, especially for Canadians who may qualify for a TN. In this specific case, our client’s duties as a Speech Therapist actually qualified her for a TN as a Social Worker. 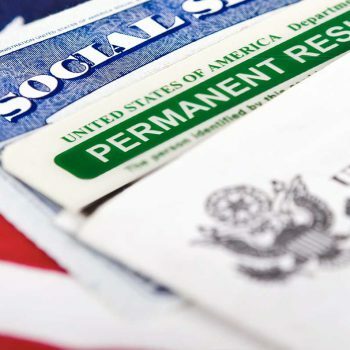 Compared to the H-1B, a TN visa is usually the better option- the government filing fees are much cheaper, the application process is much quicker and the TN may be renewed indefinitely. If you have any questions on applying for a TN Visa, you can call me 888-875-8110 or email Rita Georges at rgeorges@serottelaw.com.